Euro continues growing up towards target at 1.3590; right now market is forming the fifth ascending wave. We think, today price may consolidate at current levels and then start moving upwards to reach above-mentioned target. 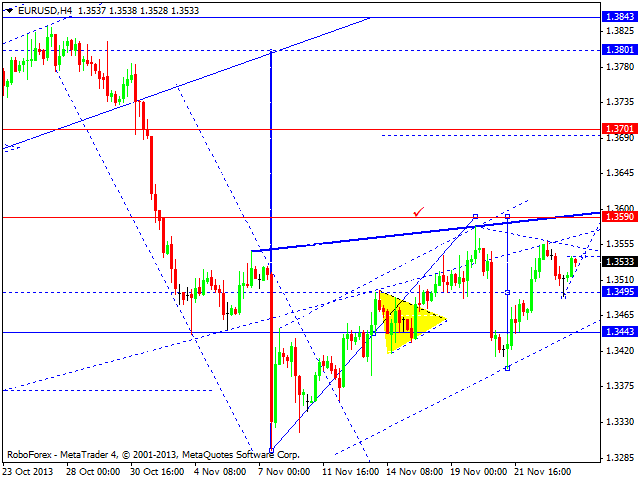 Later, in our opinion, pair may start new correction towards level of 1.3440 (as a maximum). Correction is taking place and Pound has reached its minimum. 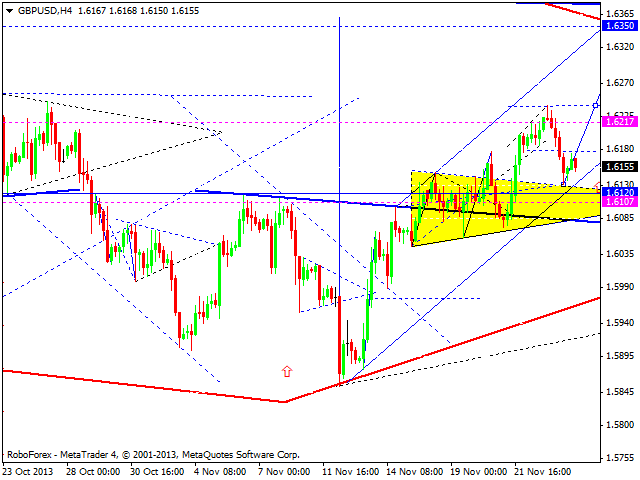 We think, today price may continue forming ascending structure towards level of 1.6350. Alternative scenario implies that pair may fall down to 1.607 and then start forming ascending structure to reach above-mentioned level. 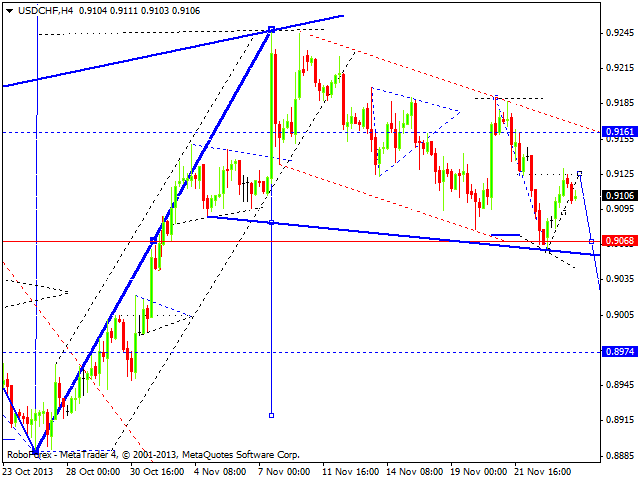 Franc rebounded from 0.9125 and right now is moving inside descending structure again. 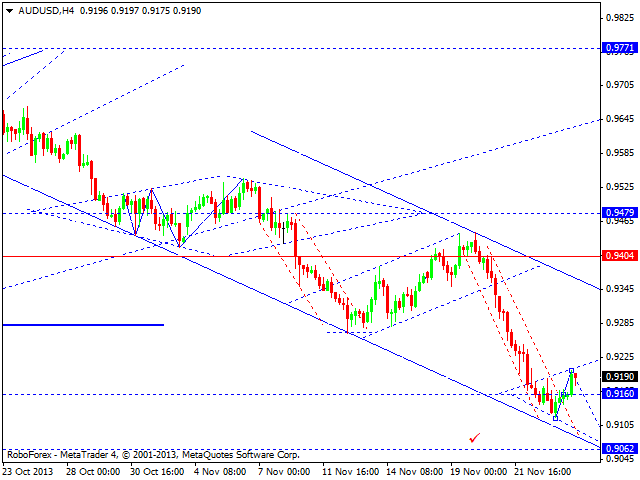 We think, today price may continue moving downwards to reach new minimum and then start new correction towards 0.9160. Alternative scenario implies that pair may consolidate for a while after reaching new minimum and then continue moving inside down-trend. Yen is forming descending impulse, which is not strong enough to continue current correction. 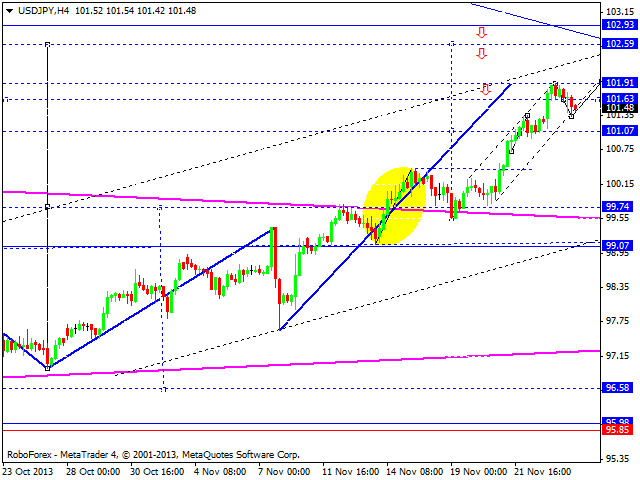 We think, today price may continue growing up towards level of 102.60 ad then start correction to reach 99.74. Australian Dollar is trying to grow up while forming divergent triangle pattern. We think, today price may reach 0.9200 and then move downwards to reach new minimum. 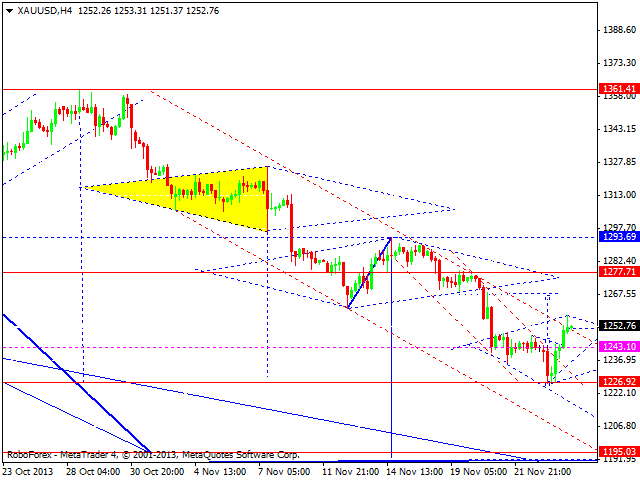 Gold is trying to from ascending wave with continuation; right now market is attempting to break descending channel. We think, today price may fall down towards 1235 and only after that, price (in case it breaks current maximum) may start new correction. Until that, main scenario suggests that instrument may continue falling down towards 1195.